How is Electronically Stored Information (ESI) Defined? DERICK ROSELLI is an Enterprise Account Executive and Electronic Discovery Consultant at Hewlett-Packard Company. In his current capacity he manages enterprise account relationships with corporations and law firms in the Western United States with a team consisting of regional sales executives, technical systems engineers, forensics experts and project managers. The group advises clients on active litigations, investigations and corporate information governance initiatives. Derick is regularly called upon by corporate legal counsel, law firms and municipalities with document and data management, regulatory compliance and discovery issues in large complex litigation and enforcement matters. He focuses on developing efficient and practical workflows for clients using his 20 years of business and legal support expertise, applying best practices and sound business advice at every opportunity. Derick is also an adjunct professor at California State University in Fullerton, where he sat on the Advisory Board of the Electronic Discovery Certification programs. In addition, Derick was selected to sit on the Executive Committee of the State Bar of California’s Law Practice Management and Technology Section, where he is serving a four year term. He is currently Vice-Chair of the Social Media sub-committee. Derick has advised clients and served as an electronic discovery consultant, tactical technical advisor in some of the nation's largest civil, regulatory and criminal matters. He regularly acts as a liaison between IT, Legal and Records Management, where he bridges the gap between inside/outside counsel and corporate IT within organizations, as well as service providers. Derick is a graduate of the University of Southern California. $0 – Cost to attend just for the presentation is free, however lunch is not included. 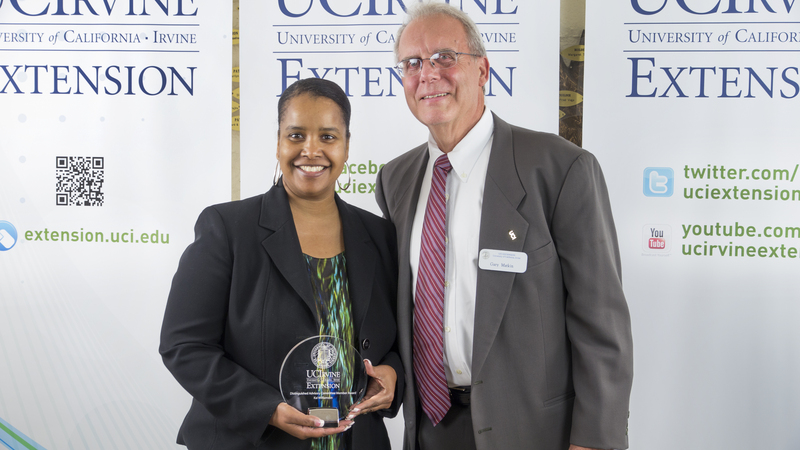 OCPA congratulates Kai Williamson for receiving the Distinguished Advisory Committee Member Award from UC Irvine Extension. Kai has served on the Paralegal Certificate Program Advisory Committee since 2009. She was worked to facilitate a strong relationship between OCPA and UC Irvine Extension's Paralegal Program. Congratulations to the 2013 Officers and Board of Directors and the 2012 Lifetime Achievement Award Recipient! OCPA held its Annual Meeting, Elections and Holiday Party on November 13, 2012, at the Radisson Hotel in Newport Beach. Kai Williamson, Vice President Policy, called the Annual Meeting to order. After ballots were counted and a quorum satisfied, the 2013 Officers and Board of Directors were elected. Honorable James L. Smith (Ret.) performed the installation of the 2013 President and Board of Directors. Elizabeth Root, ACP, received the 2012 Lifetime Achievement Award for her many years of service to the OCPA and the paralegal profession. OCPA congratulates Elizabeth for her success. OCPA collected stuffed animal to donate to CASA. CASA is made up of volunteers who act as a "voice in court" for abused and neglected children. Thank you to everyone who voted and attended the Annual Meeting, Elections and Holiday Party. On November 14, 2012, the San Diego County Superior Court announced that it will be limiting the types of documents that it will accept at the Civil Business Office filing counter in the Central Division. Attached is the Court's notice, San Diego Superior Court Public Notice Nov 14, 2012. Registration for UC Irvine Extension Winter Courses has started! Contact UC Irvine Extension for more details.